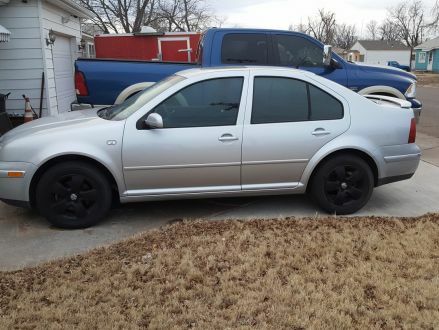 We purchased this Jetta about 2 years ago for our teenager's first car. After several hours of trying he just could not get comfortable with the manual transmission. When we got it the windshield was cracked. Also has new battery and we installed a glass pack exhaust (which sounds great with the 2.0L) last month. Great school or work car. FOR SALE. 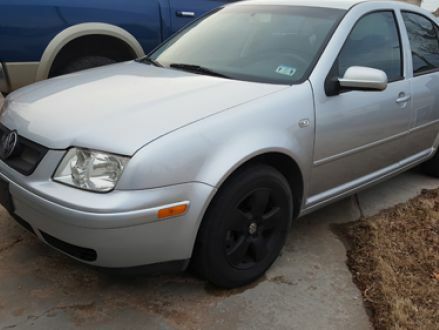 This is a Silver 2003 Volkswagen Jetta GL 2.0L with Gray interior, Manual transmission, Front-Wheel Drive, and a 4-Cyl. engine. It's in Average condition, with 129,788 miles, and located in Liberal, KS.